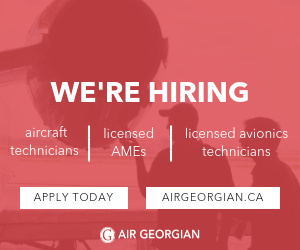 Northern Air is seeking interested candidates for the position of Aircraft Engineer. We are a provider of Maintenance and FBO services as well as Scheduled and Charter flights in Western Canada. Northern Air is a progressive company with a heavy emphasis on innovation and diversification. If you are a positive, mission focused professional with a customer centered approach we'd love to hear from you! We offer competitive compensation packages, a positive work environment and opportunity to advance. Northern Air strives to create an environment that promotes a solid work/life balance. We encourage a team atmosphere and community involvement not only through Corporate commitments but by encouraging staff to engage in the communities we live in and serve. The successful applicant must an M1 License. Experience on King Air series Aircraft is an asset.